The next post is going to be a super fun collaboration with some other bloggers about summer that I’m super excited to be a part of and share with you. Be sure to check back on Wednesday. I’m also wrapping up a few more summer recipes and then I’m on to testing recipes for fall (Isn’t that crazy! It’s the middle of July) But in the blogging world I’ve learned that seasonal content should be published two months ahead of schedule. Which means pumpkin and apple will be here in September! You can ignore it until you need it though. I’ve also never been able to bring myself to post Christmas recipes in October. I post them in December, and hope they become popular in time for next year. Any way, all this to say, if you have any last minute summer recipe requests, send them my way! 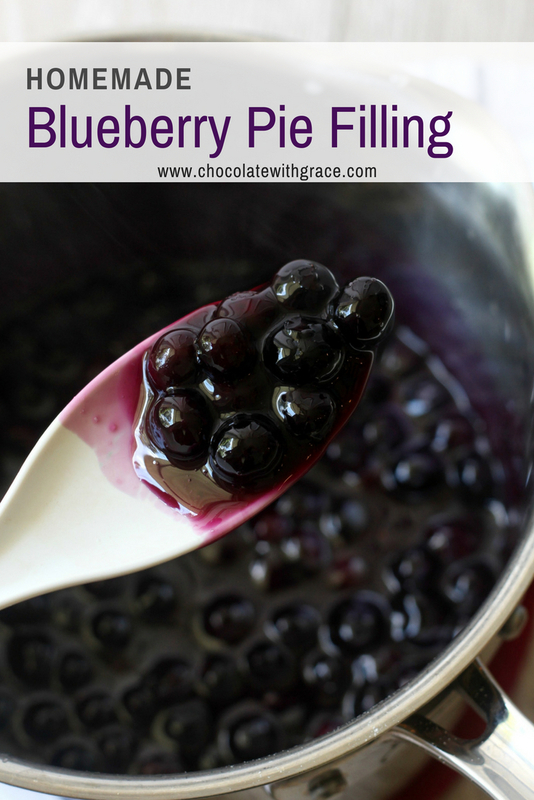 Have you every made you own pie filling before? It’s super easy and I love having it on hand for pancakes. It also tastes much better than the canned stuff. 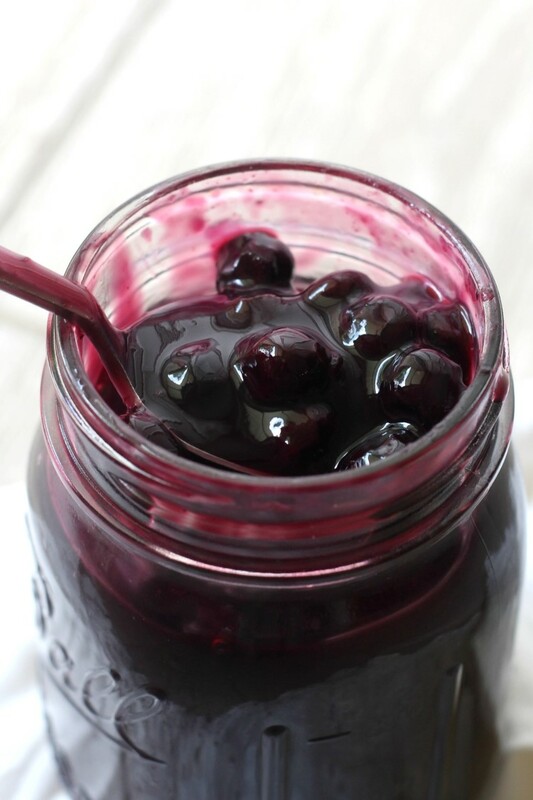 It’s simply water, blueberries (or your choice of fruit), sugar and cornstarch. 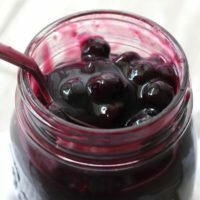 It’s all cooked together in a saucepan for just a few minutes until thick and the fruit does such a great job at giving it color. In a heavy, medium saucepan. Whisk together the cornstarch and sugar until there are no cornstarch lumps. 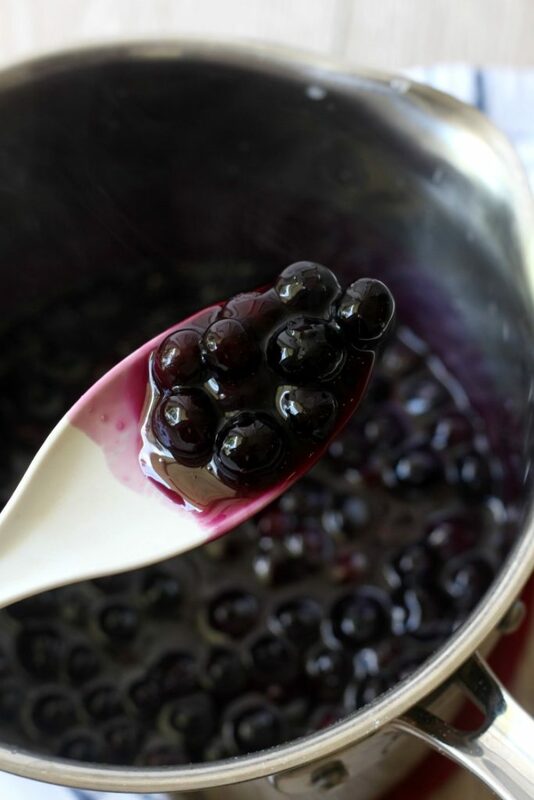 Add the water, blueberries and lemon juice. Cook over medium heat, stirring frequently until thick. Remove from heat and cool. Use as desired. It stores tightly covered in the fridge for one week. 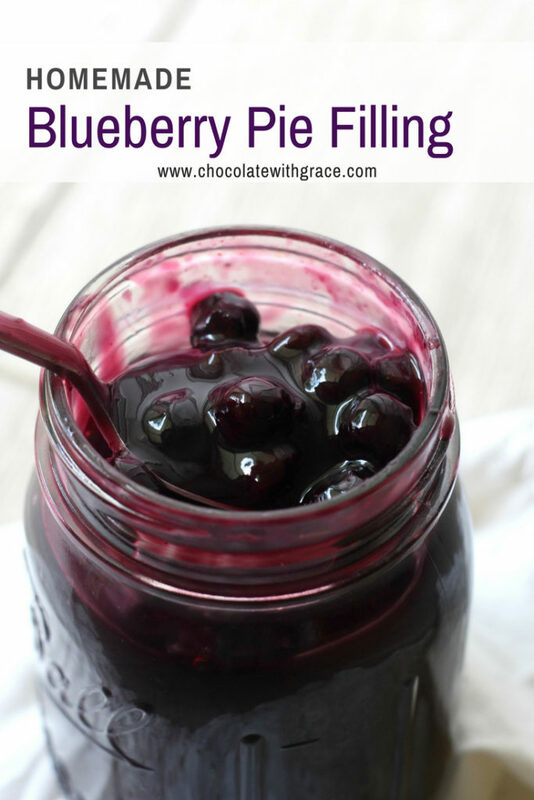 Here are some ideas to use your blueberry pie filling. This was the easiest recipe i saw to use thanks for posting it..
I’m not sure. I know canning is based on how acidic something is. I’d check out the Ball Canning site for a recipe.